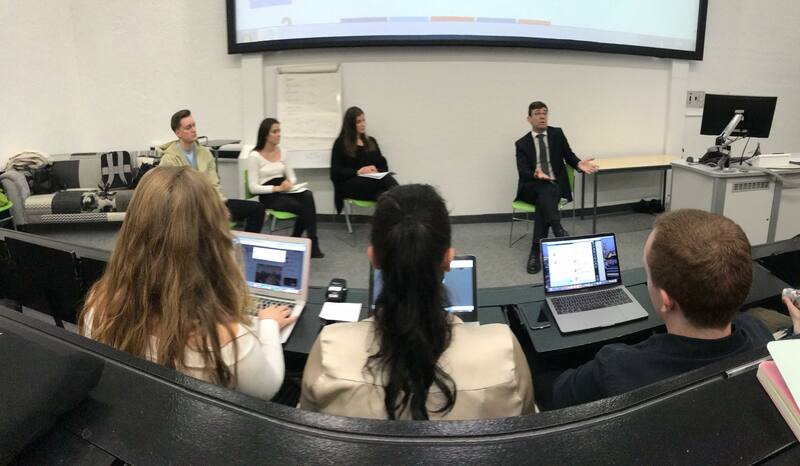 The Mayor of Greater Manchester, Andy Burnham, joined Manchester Metropolitan University journalism students to discuss the Kerslake Review, media and politics. Burnham, whose first job was as an unpaid trainee journalist,in north Manchester, suggested “journalists are about as trustworthy as politicians”. Having been elected to the House of Commons in 2001, the mayor has had a vast and varied experience with journalists and the media. He said: "I have seen the real power of journalism done well, but I have also been on the receiving end of really shoddy, inaccurate, sensationalist journalism". He does, however, maintain that the British media is “actually pretty good on the whole” and suggests the Manchester Evening News’ coverage of the Manchester Arena bomb attack was an “exemplary” blueprint for covering tragic events. "Overall, the coverage was overwhelmingly positive, accurate, responsible. As you hope it will be in a moment like that," he said. Mr Burnham said the decision taken to hold a vigil so soon following the attack “was an opportunity for the people to come together and for a mood to establish itself which then set the tone for the fortnight that came after". He has commissioned the Kerslake Arena Attack Review in response to the Arena attack to learn what lessons can be taken from the response to such an event. In the eyes of the mayor, local media’s importance to society seems to be resurgent in 2018. Although suffering financially as the media moves online, Burnham maintains that “local media is becoming more important in that they are often a source of trusted, accurate [and] impartial information." He also drew parallels between politicians and journalists, saying “[they] are behaving more like journalists, they're trying to anticipate stories and put their own stories out there". Social media has “changed the conduct of politics” as politicians tailor their behaviour to suit the platform. He said: "The thing about politicians and social media is in some ways, it's the wrong medium for politicians. Politicians like to broadcast rather than interact." It can be used positively, such as holding authority and the media to account when previously “journalists had too much power without enough accountability”. Homelessness remains a major priority for Burnham and he discussed initiatives to tackle and end homelessness in Greater Manchester by 2020. Housing First is one such approach – giving people accommodation for a fixed period to allow them to rebuild their lives without concern for where they may sleep that night. On whether the Conservatives are being properly held to account by the media, Burnham cited occasions in which “they hung some of my colleagues out to dry” when Labour was in government. Mr Burnham believes Brexit was born out of disconnected people’s frustrations with a London-centric political system. “The seeds of Brexit were sown in Westminster," he said. The mayor closed proceedings with a powerful statement demanding a complete rethink of the distribution of power and resources around the country.